Series Statement: These works explore issues of perception, specifically our relationship to technologically mediated nature. In At Any Given Moment, River 1, the repetitive rhythm, tight cropping, and large-scale image emphasize the work’s particular organizational logic in time and space. 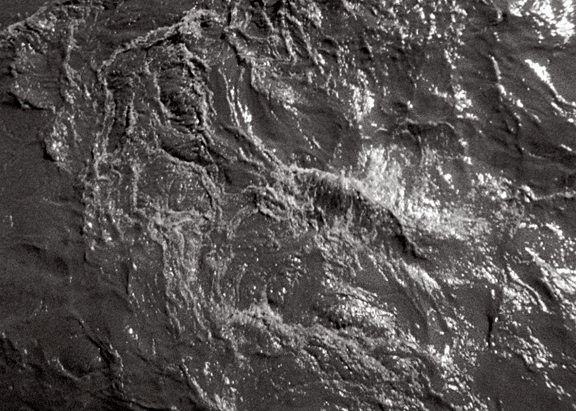 The cross-rhythmic tensions between simple elements—water flowing at variable speed and under variable light conditions—create visual difference and reveal the patterns that one simple element produces through relationships and complex organization. This distancing approach allows us to view ourselves from the outside—as part of the representation—and thus to learn about ourselves and challenge preconceptions of our surroundings, specifically of the nature of matter. At Any Given Moment, River 1 was filmed in Iceland. 2010: ARCO Madrid International Art Fair, Madrid, Spain. 02.17–21. Curated by Paul Young. 2009: MINOTTI, Los Angeles. 06.18–07.04. Curated by Mary Ta. 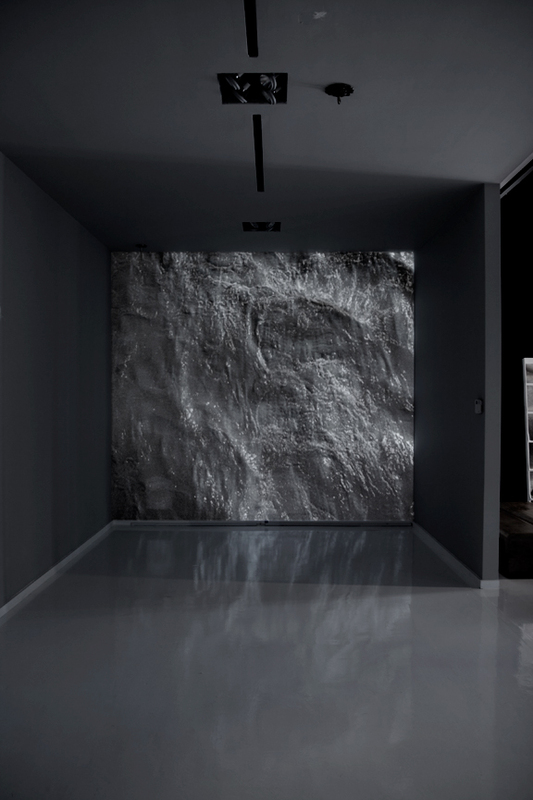 Exhibition History: 2009: Minotti Gallery, Los Angeles, California. June 18–July 4, 2009. Curated by Mary Ta. At Any Given Moment, River 1, 2009. Still Frame.